You won’t find a better staffed or equipped service center than Lynch Truck Center for your commercial or tow truck service or repair needs. Few people understand the demands placed on a commercial vehicle like the ASE-certified technicians in our state of the art service center. With over 250 years of combined experience, our technicians are ready to bring their expertise to your commercial fleet and towing equipment — even RV’s, to ensure it stays in prime condition. We offer commercial truck repair, tow truck repair, air brake repair, tire maintenance, Duramax Diesel service, and so much more! We understand that downtime results in lost revenue for you and your business. You need to get back on the road FAST and we’ll get you there! That’s why we operate a first- and second-shift service center in Waterford, WI, and install only the highest quality, factory-warranted parts. Our state-of-the-art, 20-bay service facility was built to provide the best in quality installation. Our two overhead five-ton cranes and job-specific technicians ensure a quality job every time. Our techs specialize in quality installations, hydraulic repair, and electrical inspection and repair. Our metal fabrication facility is second to none and can fabricate steel, aluminum and stainless. We work on all makes and models of towing equipment. We pride ourselves on servicing the towing and recovery industry for more than 20 years. We work on all makes and models of commercial trucks and vans and all towing equipment. And, we pride ourselves on servicing the towing and recovery industry for more than 20 years! Whether you need hydraulic repair on your wrecker or flatbed, or collision repair for your commercial truck, we do it all! 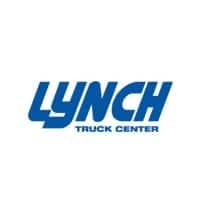 At the Lynch Truck Center, we work on a lot of business fleet trucks, and tow trucks. Here is a list of the most common towing equipment and brands we LOVE to work on in the towing world. And yes, we work on all brands! In addition to our excellent service, we also offer flatbed rental if your truck breaks down. And don’t forget, we also offer body shop & painting services!